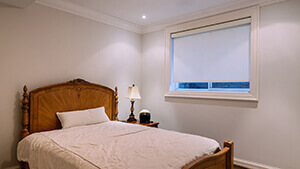 According to the Alberta Building Code, every basement bedroom must have one egress compliant window, openable by the inside. This allows you and your family to get out or emergency personnel to get in – in the case of an emergency. At Calgary Egress Windows, we can enhance your basement windows and get everything up to code. We approach every project with experience, professionalism and flexibility – with you and your family as our highest priority. 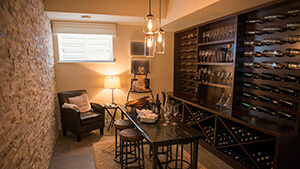 Renovating your basement? Need to make a room habitable for family members or guests? Let us help you find the perfect basement egress window or sliding basement windows for your space. We want to make your home brighter, fresher and a little safer. Every egress window must be a minimum of 3.77 sq/ft. This is the minimum requirement of clear space. This refers to the opening, not the entire window size. Sliding Windows – These windows open from side to side and work like a sliding door. These windows must be a minimum of 44″ by 33″ inches or 48″ by 30″ inches to meet the area requirement in Alberta. Casement Windows – These windows open like a door on a hinge. These work well in basements as they open out rather than up. To meet minimum requirements these must be 31.5″ by 31.5″ inches to meet code. In Alberta, 3.77sq/ft. is the minimum requirement for clear space (or 0.35 m2 or 543 sq. /inches) This refers to the opening size, not the entire window size. No window opening dimension (width or height) can be less than 15″. Window wells if needed must be no less than a 30″ or 760 mm protrusion out from the foundation wall. Window wells must be a minimum of 2″ above finished grade, but no more than 6″. Egress sizes do NOT apply if you have a sprinkler system in the basement room. If your preferred basement window location ends up being underneath a cantilever, the cantilever cannot be more than 25.5 inches or 650mm. You cannot install egress compliant windows underneath decks unless there is 2.1 meters of head clearance. To comply with a city permit, you cannot cut out more than 25% of the total wall length. You also need to have at least 1.2 meters clearance on one side of the home for the fire department. You have to be 36″ away from any exhaust vent. You need 6″ of drainage rock in the well. You need 6″ of clear space from the bottom of the window to the drainage rock. Sliding windows are most common. Casement windows can work so long as the sizing requirements are met. We come to you, take measurements, explain the entire installation process and talk about costs. We will provide you with a quote and with your approval will prepare a contract for you to sign. When you agree to the work, we will schedule a time that works best for your window installation and ask for a deposit to confirm your installation date. One of our professional installers will arrive, install your new window and leave you with a 2-year workmanship warranty!